A Perfect Stress-Free Move, Guaranteed! 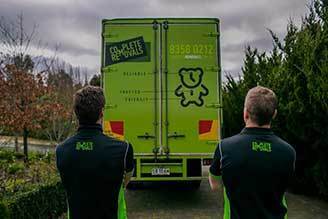 Complete Removals began in Adelaide in 1998 by Corey Smith buying his first truck and trying his hand at a business at the fresh young age of 21. He became disturbed at how negative and yucky the moving industry had become and how it was misrepresented in the public eye. Even more troubling to him was the general opinion that moving house is stressful. It is not. The vision was to prove moving is easy with the right help and sufficient prioritising from the customer. Corey quickly realised he couldn’t make this vision a reality without the right staff. Ben Ballard quickly rose to the top of the company from the ground up, starting as an offsider, then driver and eventually becoming the General Manager, co-creator and co-owner. ​Most of the work in the first 10 years of the business was local moves in Adelaide. It was in this playing field that we could completely develop our own refined system for stress-free moving. ​By running surveys on every move, we perfected our service and found a rhythm truly unique in the moving industry. Today, across every survey conducted at the end of each move we score an Excellence score of 98%. Before we ever sent our trucks interstate we were already involved with interstate moves in the form of working with other interstate removalists. There is far more to this type of work than just jumping into a truck and heading out to another city, with many layers of involvement and many parties. When an interstate driver comes into Adelaide (or any city for that matter) they are always looking for reliable and professional removalists to assist them with first unloading their truck and then loading their truck up again. We have a long history of working with other companies and sole operators to provide the skill and expertise needed for them to unload quickly and safely and then get loaded quick enough to stay on schedule. This is the common way that most companies manage the labour force needed on the ground floor in other states, is to source their removalists from other local companies that they know they can trust. The next logical step for us was to begin running interstate moves by using rail shipping. This involves a truck on one end that can carry a shipping container running its route through the city and packing up the container which is then dropped at a railway at the end of the day. The same happens in reverse, in which we collect a shipping container in the morning and then travel around the city to deliver all of the different backloads. This can be one of the most cost-effective interstate removal methods, however, it requires two companies who have a great working experience together. They are reliant on each other's ability to load and unload safely, and each others ability to pack in a way that nothing gets damaged. Eventually, we started sending our trucks away on interstate trips also. This requires a large truck and a dedicated team who understand the complexity of split loading and finding the most effective way to balance the work schedule. 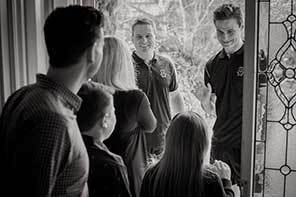 Most importantly it requires having a good network throughout Australia of other removalists who we would be able to have come and support us on the ground floor when we arrived. One way or another when hiring interstate removalists it will always come down to your company utilising other partner companies along the way. This is true from the sole trader right through to the larger organizations. Even the larger companies who you would expect to be managing everything internally will still require a little bit of assistance from time to time from other removalists. Between existing connections and the ability to lean on a network of reliable and vouched for removalists Australia wide, there is always a way for us to source top talent whilst managing an unload or load in an area outside of our home base. The wrong partner company can be make or break for a companies reputation. When we place our brand on something we expect each and every partner who we team up with to conduct themselves as professionally and capably as we do. For this reason, we have been extremely selective over the last decade with who we will or won't partner with. This selective nature is what keeps us going, and it is also what saves you the stress; as you know that when you book with us that only the best will be involved in your move! 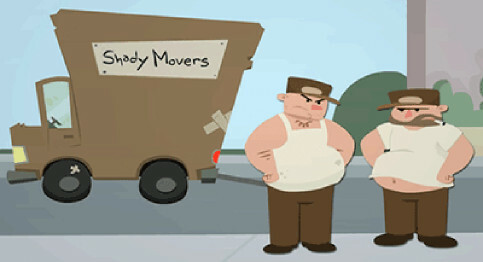 The absolute most important consideration when it comes to moving interstate is ‘can you trust this company?’ In a world where there are hundreds of sites offering ‘3 free quotes’ from undisclosed moving companies, you are potentially about to send a stranger in a truck off into the distance packed with everything you own! It seems that there is no end to current affairs or news episodes about removal companies who have done the wrong thing by their clients. There is no shortage of anonymous-looking quote websites that are all offering the bottom dollar to only then pass your details onto the lowest bidder. None of this will lead you to the same level of stress-free or enjoyable move that you can expect with a well vetted and professional provider! Our concierge system takes all of the guesswork out of your move, makes us the primary communicator (meaning you will never have to call up looking for an update, as we will have already called you). Over 20 years we have refined our systems so that you can enjoy an easy and well organized interstate move every step of the way! We have a long history of moves into and out of New South Wales. Whether you're moving to a large central hub such as Sydney or New Castle, or to a more regional location such as Wagga Wagga or Wollongong, you can trust us every step of the way! We have a real love for Queensland, so much so that our CEO Corey is a permanent resident of this sunny paradise! Whether it is the far North or the hustle and bustle of the Gold Coast, we have the resources in place to deliver a flawless move either into or out of the sunny state! Some of our earliest interstates moved were back on forth from Melbourne an its beautiful surrounds! We have a solid system and network in place that will truly deliver on our stress-free guarantee for your Victorian move! If you’re heading to the red centre then you want to have an absolute top team ready for you each step of the way! We have everything set to make your move into this sparse yet beautiful landscape a time of enjoyment and not stress! Tasmania is truly a picturesque state, one of Australia’s most beautiful if you ask us! Managing ferries adds an extra dimension to your interstate move, one which we are well experienced with! 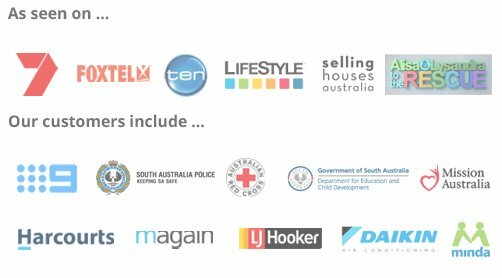 Whether you are moving to or from our Nation’s capital you know that you will want to be working with Australia’s most trusted brand! Some of our earliest container work was centred around Perth and wider Western Australia, giving us over a decade of servicing interstate removals to this lovely state! Let our experience and professionalism guide you every step of the way as you move to or from WA! We can help you whether you’re moving to or from Adelaide or somewhere a little more regional such as Mount Gambier or Porta Augusta and everywhere in between. Adelaide is our origin city and no removalists know it better than us! Find out what all the ​fuss is about!